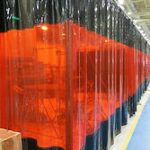 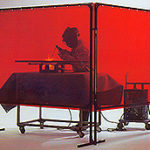 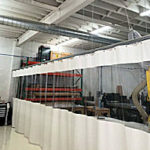 Soundproof industrial curtains allow you to move your sound enclosure to and around the source. 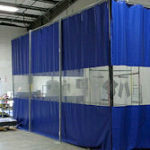 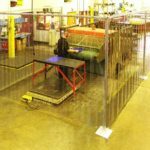 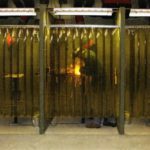 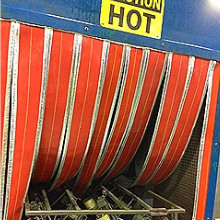 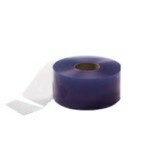 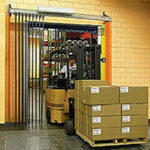 These industrial noise curtains allow you to completely enclose or partially enclose noise producing equipment. 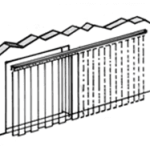 You can easily add or subtract panels with modular connectors. 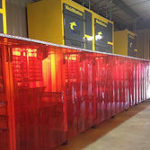 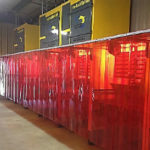 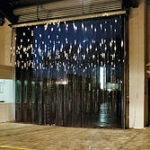 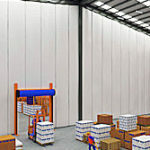 This allows you to reuse the sound curtains industrial for different applications and areas. 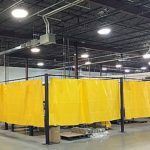 Unlike the quilted fiberglass panels, these sound curtains fold up on a rolling track to allow access for people and product to move through. 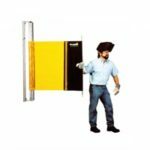 Much like a shower curtain, mass loaded vinyl curtain’s accordion folds when pulled back to provide access and allows for condensed storage when not in use. 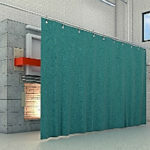 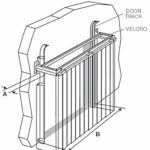 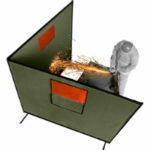 Industrial noise reduction curtains are retractable making them suitable for diverse applications. 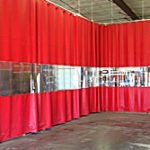 48″ wide in stock industrial sound curtains for the do-it yourself type person. 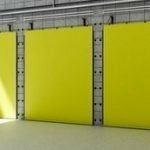 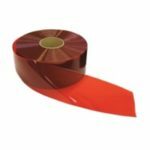 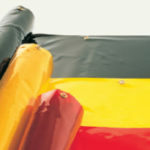 The panels are available with a sewn shut edges for a clean finish, or unbound edges for when noise blocking curtains are used in a nonvisible location. 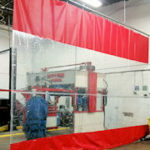 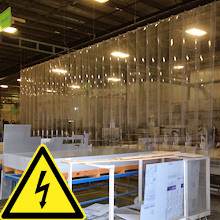 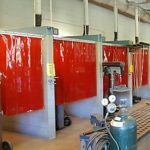 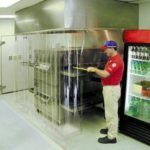 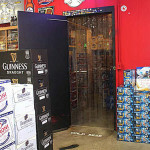 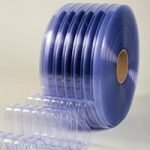 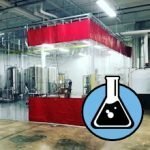 Mass loaded vinyl curtain help with blocking sound and noises creating a safer working environment. 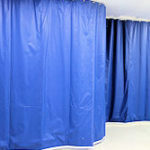 These curtains are cheaper than constructing permanent sound proof walls. 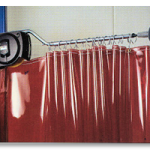 Sound absorbing curtains are ideal for reducing reverberant noises in large areas in rooms. 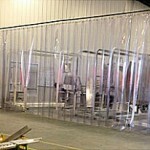 They are available in both quilted fiberglass and Poly covered fiberglass. 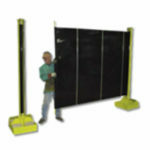 They are generally used with other sound stopping products. 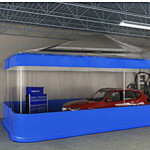 The ceiling baffles 2 feet high by 4 feet wide and feature grommets at the top for easy hanging. 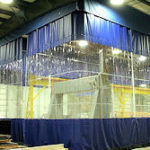 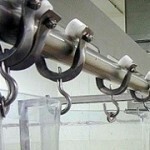 Soundproof curtains can be hung in parallel rows or in a egg crate configuration.